With an eye-catching signboard that looks like something pulled off a festival stall, Kuwabara is easy to find. The shop serves nothing but shio-soba (salt ramen), available in varieties like shio-wonton, shio tsukemen and shio-abura-soba (ramen without soup), plus occasional daily specials. 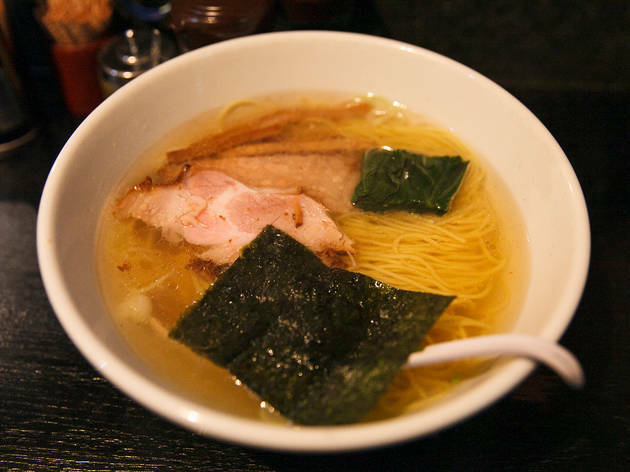 For the indecisive slurper, we recommend the regular shio-soba (¥700), which comes with a fine and fresh golden soup, powered by ample chicken fat. 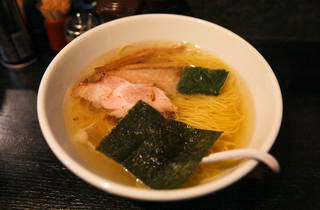 Fridays see Kuwabara opening from 5pm and serving a special menu until they run out of soup.